OK, I don't know what happened last night, but I was SO exhausted that I just went to bed. I did get the freebie posted and the pictures uploaded for the blog, so I did do something, right? hehe. I was up yesterday at 7:30am, and had the kids ready and to the sports camp by 8am, then headed back home. Jake and Jim and Joe were sound asleep, and slept until 9am (11 for Jake). So I had an hour of uninterrupted cleaning time. I started on the kitchen. The boys woke up, and watched some TV, and I kept them from trashing anything. hehe. Check out my finished result! Jim was SO cute sitting on the couch, watching TV, petting the dog. OK, so I got a comment about me posting lost of pictures and appearing Vain. Well, it IS my blog, so I would think that there could be pictures of me, right? This is my journal. I want my kids/ husband/family to see/remember pictures of me. And I don't only post good pictures of myself. I post bad/funny/embarrassing pictures of myself. hehe. I have been accused of over sharing things, you know. hehe. I'm singing in this picture. In case you wondered.... ha! Jim came in, saw my bright green eye shadow, and said that I looked like I was turning into an Alien mom. ROFL! At 11:40, I got Jim and Jake and Joe ready, and headed to the Youth Center on main post to pick up Tom and Eme. I grabbed them, and we all headed over to Biggs. I dropped Jim off at the CDC, Tom, Eme, and Joe off at the SAS, and Jake off at the Youth Center. And I was kid free!!! I headed back to main post, and met up with my girls at Amanda's house. We were going out to lunch. Kari is leaving for a month to visit family in Wyoming, so we wanted to have lunch with her before she left. Terra and Amanda and Kari and I all went to Cattle Barons. It was a WONDERFUL salad bar. We had a TON of fun at lunch. I was feeling in a joking/playful mood, so when Terra headed to the bathroom, I put this on her water glass, wanting to see if she'd notice. ROFL! She eventually did! And when Amanda went to the bathroom, Terra hid her phone, I hid her wallet, and Kari hid her purse. Yeah, HOW old are we? 13? ROFL! It was one of those days. We ended up sitting and chatting and laughing for a good 45 minutes after we finished eating. hehe. And today was the day to tackle my room. I didn't take a "before" picture because I was embarrassed by the HUGE mess. But here's the finished result. And yes, this IS clean for me! I went through all of my purses (I have SO many, all with a little bit of stuff inside) and found ALL of my missing lip glosses. I didn't realize I had so many. At 4:30pm, Kari's kids came over, and we loaded up and headed to pick up the other kids. I got Jim from the CDC, and Joe and Tom and Eme from SAS, and dropped Tom off at the Youth Center with Jake. And headed to the pool. I'd brought swim clothes for everyone to change into. We met Amanda there, and got about 20 minutes worth of swimming time in. And they blew the whistle for Thunder. Sigh. I REALLY think it was just an airplane. But 15 minutes later, yeah THAT was thunder. And it unloaded and rained quite a bit. Since we have no AC in the truck, we left the windows down, and got a bit wet as we drove back to Biggs to get Jake and Tom. We headed to my house after getting them, and I let the kids watch a movie. And I fixed dinner. And Amanda came over, and we played on our computers while the kids watched the movie. And yeah, the reason I usually don't clean is because it upsets me when things are clean and the kids make messes. Whereas, if it's already messy, it doesn't bother me quite a bad. hehe. I almost cried when someone spilled coolaid ALL over my freshly mopped floor. LOL. We had ice cream and brownies for dessert, and at 9pm, Kari came to pick up her kids, Amanda headed home, and I was exhausted. I got my pictures loaded, my wordart hosted, turned on some 24, and laid down on my couch. And yeah, that's all I did. I went to bed relatively early, and slept SO good last night. hehe. I was tired! Awe, look at those SAD SORRY eyes! Great layout, Sharon! 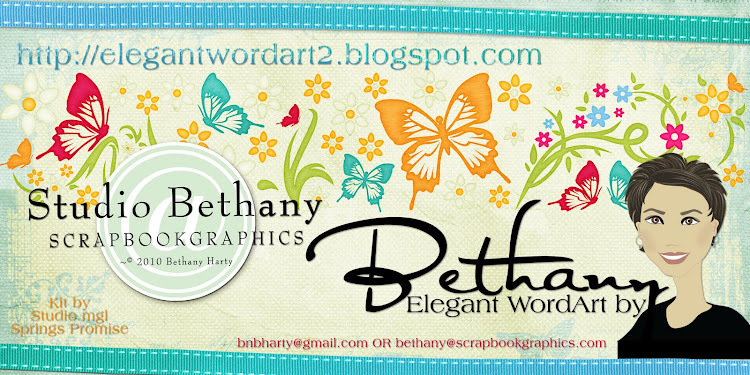 Hey Bethany - I LOVE your word art... but your posts... how do I say this nicely... they sure have a lot of photos of you and it comes off as very vain. I just wanted to give you an outsiders perspective. Thanks for having this great word art for FREE!!! You and your team ROCK!!! Thank you so much for this post. 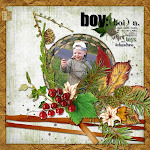 I want to let you know that I posted a link to your blog in CBH Digital Scrapbooking Freebies, under the Page 4 post on Jul. 14, 2011. Thanks again. I have been a blog-stalker of yours for quite a while now and love how you document your days. I'm a little in awe of how you always seem to have a camera handy (I'm always searching for mine when the 'perfect' moment happens)!! I love hearing about your days, whether they're good or bad. It's awesome that you document the not so good times, too. BTW, thank you so much for the wonderful freebies you share with us!! I can't believe that someone would come and take your free word art and then be so extremely rude to you, Bethany. How sad. No one holds a gun to the woman's head and makes her read your blog. I so enjoy your blog and all of your pictures. Some days I can't use the free word art you're offering, but I visit every day just to read about your day. I also pray for you and your family each day as you cope with life apart from one another. Your house looks soooo fabulous!!! I can see why it would be upsetting to see it get messed up rapidly. Thanks so much for the great word art. I love the way Sharon used it. Hugs!!! Bethany, I admire that you post photos of yourself along with the rest of the family. I am guilty of avoiding the camera and need to find a way to get over that so my future descendants can see what I looked like back in the day. And I am positive that Brett enjoys seeing his sweetie in your posts while he is serving his country so far away. Keep on doing what you're doing - I enjoy your posts. And thanks for today's wordart! I haven't posted in like forrrrever.. but Gwen's comment is silly. I am in complete agreement of your reply as to why you do this. Anyone that is a loyal reader to your blog knows why you post the photos of you.. and we love them. It's nice your family, friends, followers get to see your sweet mug all the time.. but mostly Brent!! :) Anyhow... don't ever let negative comments like that squash your bright, goofy and loving spirit! I totally have always dug your fun and honest blogging. Even more than.. dare I say it .. but your totally awesome free wordarts!!! Sending some love from Canuckland!!! Gwen! It was extremely inappropriate to come to someone's blog and "LOVE" their work and They "ROCK" and in the same breath insult Bethany with she's "VAIN". Have you read her blog??!!!?? If she seems vain to you, don't read it. ah...and Bethany, I look forward to reading your posts everday!! I don't come for the wordart, I come to read about you and your wonderful family!! Ignore the haters! !